Newport Jets is your Los Angeles jet charter company, our professional team is ready 24/7 to schedule and create your Los Angeles flight plans. We will plan your private jet charter to and from Los Angeles exactly the way you want it, on your schedule. Newport Jets will not only handle your flight plans but we will recommend excellent places to stay while you’re in Los Angeles. Our jet charter experts are standing by to assist you and help you choose the perfect jet for your trip in and out of Los Angeles. Our wide selection of charter jets includes everything from the lightweight Learjet 31 to the Gulfstream G550, regardless of your needs we have a jet to fit your trip. 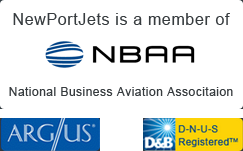 Newport Jets specializes in charter aircraft to and from New York City, Los Angeles, and Las Vegas – as well as hundreds of other domestic and international destinations. It only takes one phone call to reserve and schedule your Los Angeles charter jet flight. Los Angeles is a major jet charter destination in the United States. The city is a mecca for business, fashion, culture, and entertainment. Hollywood is located within Los Angeles and offers several star studded attractions including the noted Hollywood Walk of Fame, studio tours, and for a day escape you’ll find some of the world’s most famous beaches. The city is filled with culture with a beautiful backdrop of mountainous terrain. Los Angeles is an international center for art, design, world trade, and science. The city touts over 300 museums, 80 stage theaters, and eight shopping malls. For sports fans you’ll want to attend a Los Angeles Lakers game or grab a ticket to see David Beckham play soccer for the Los Angeles Galaxy, or LA Kings hockey game. For those who want great shopping a trip to the famous Rodeo Drive is a must. If you love film and movies you’ll want to take a studio tour or hit Hollywood Boulevard. For luxury accommodations the SLS Hotel is only two blocks from the Beverly Center, and the Ritz Carlton Los Angeles features panoramic skyline views. The Peninsula in Beverly Hills is located in a quiet area of Beverly Hills, this beautiful luxury hotel is a few blocks from Rodeo Drive and Century City. The well-known Beverly Wilshire Hotel is also in Beverly Hills. The Beverly Hills Hotel and Bungalows is situated near the Paley Center for Media, in a historic district, near the famed Whiskey a Go Go. Los Angeles and its environs has a wide variety of regional airports that make private jet charter convenient for all areas of the city. For those doing business in northwest Los Angeles the airport at Van Nuys Airport or Bob Hope Airport Burbank are convenient. Los Angeles International Airport and the Santa Monica Municipal Airport are west of Los Angeles, with the John Wayne Airport and the Long Beach airports located south of the city.